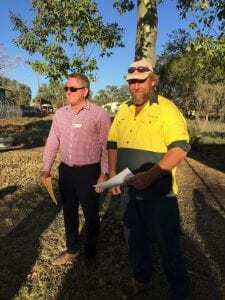 Keep up to date with whats is happening at Walgett Shire Council by following our Facebook account “Walgett Shire Council” With public notices, media releases, tenders, job opportunities and current news stories you will always know what is happening in your Local Government Area. The Walgett Ovals Committee on Thursday 11th April to assess the condition of the three (3) Walgett ovals, to gauge whether or not they are suitable for play this season. It was unanimously agreed, there is still some work to be done on both ovals 1 and 2 in the coming weeks (watering, mow, fertilize and sow) , therefore these ovals won’t be ready for play until the 11th May 2019. Training can however, commence immediately on Oval 3 and this is also available for junior games. The Committee has recommended that senior teams both league and union should advise their regional executive that the Walgett ovals 1 and 2 will NOT be suitable for play until Saturday 11th May 2019, and Walgett teams should elect away games until this time. 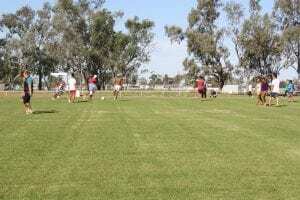 Walgett Shire Council is committed to providing high quality, safe recreational facilities for its community and visiting sporting teams, this next window of opportunity to the 11th May 2019 will allow the grounds to further improve, with increased moisture retention and greater grass cover to some of the more drought affected playing areas. The Walgett Shire Community Development Team setting up for this mornings Harmony Day Celebrations in Walgett. Come on down to the Walgett Shire Chambers Council Lawn for a 10am start. 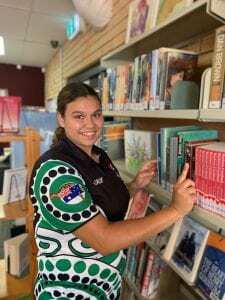 Delta Swan is our fabulous School to Work Trainee at the Walgett Library. 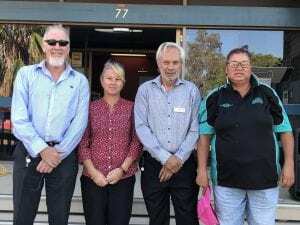 Walgett Shire Council have a successful partnership with Walgett Community College in providing trainee-ships to their High School Students. Delta works 4 hours per week during the school term in the Walgett Library where she is a great asset to Council Staff and a wonderful example of this wonderful program. The School to Work Program aims to assist students in planning and managing their transitions to a range of post school education, training and employment options. 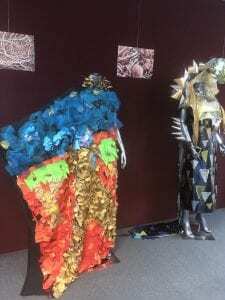 Visit the Walgett Library to view this vibrant exhibition created by Sista Speak Students from the WCC Primary School. Open Monday to Friday 9am-5pm.